In case you don’t know, Searching takes place entirely on screens. Whether it’s a computer, phone, CCTV, or security footage, the entire movie takes place “inside” the internet and video footage. Usually, these types of gimmicks become more of a crutch than something that actually aids in storytelling. 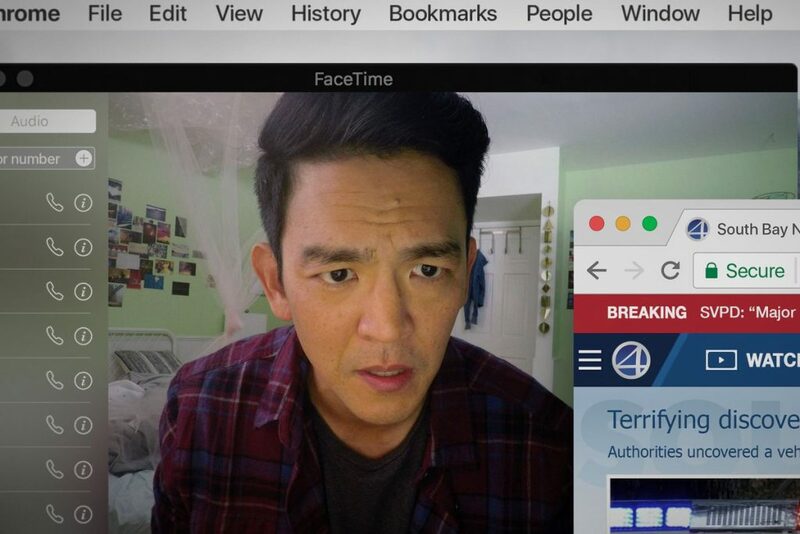 (I’m looking at you Unfriended and Paranormal Activity sequels) Searching uses its gimmick in a really smart way. Google searches, password resets, deleting texts you don’t want to say, pop-ups, etc. all little details that make the story seem really unique and drive home the experience of the movie. I should probably give you a very broad overview of the plot. David’s (John Cho) daughter goes missing one day after school. Not having any idea where she is he follows the only clue left behind which is her laptop. As he starts to unravel her online footprint through email and social media he starts to wonder if he ever even knew his daughter at all. There are a ton of twists and spoilers that I didn’t know going in which probably helped my enjoyment of the movie. I don’t know how well it will hold up on a second viewing. First time through was great though. The concept of the movie isn’t unique but it was executed so perfectly that it felt new. Little online details David uses during his search felt realistic and true to character. Small moments the filmmakers use to highlight the difference between online life and real life rang very true. It was a great thrill ride. Overall, I’d say this is the perfect movie to end the summer on. It’s smart, suspenseful, and unique. It was also a very satisfying story which is rare in these kinds of movies that typically play very broad or very narrow, this one really finds a middle ground appeal that anyone who has been online can enjoy. Next month we start to see the Oscar hopefuls trickle out and the blockbuster season seems to never end. It’s nice to have something different to reset your palette for Fall movies. This entry was posted on Thursday, August 30th, 2018 at 10:21 pm	and is filed under Film, News. You can follow any responses to this entry through the RSS 2.0 feed. You can skip to the end and leave a response. Pinging is currently not allowed.